Hello from High Street Outlet! We'd like to introduce Highstreet Outlet, where quality labels cost less. If you're not familiar with Highstreet Outlet then have a look at their site and the great range of female fashion they sell. 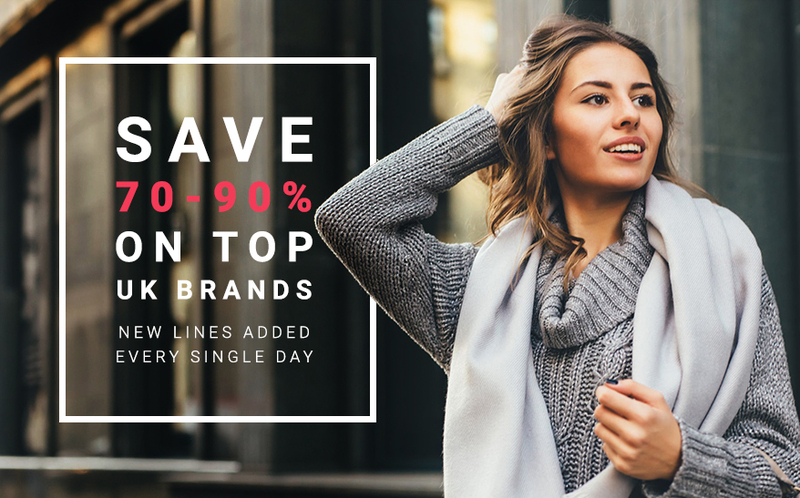 Specialising in sourcing the latest high street brands at discount prices you can find a range of ex stock from the likes of ASOS, Boden, Debenhams, New Look, Oasis, Fat Face, H&M, Laura Ashley, River Island & Next to name a few. So if it's quality high street brands at discounted prices that your users would like to see then Highstreet Outlet is the brand to be promoting. As well as the savings to be had Highstreet Outlet also have a 10% off code that you can use. This code is not readily available on site so is an affiliate channel exclusive giving your users and extra saving customers can't find on site. Their demographic is women who like to shop around 40 + and like a bargain so if you have that audience we'd love to hear from you about working with some bespoke offers and can provide some more product and ex-brand information. 20% Student Discount at Miss Selfridge! T&Cs: Offers only open for verified students. 20% Student Discount applies to all sales, including Full Price and Sale items. Don't forget to replace !!!id!!!! with your own affiliate ID to track sales and get your commission! 24% Off for 24 Hours Only at Wallis! Thank you for promoting Wallis. If you have any questions or wish to discuss any promotional opportunities please get in touch with the affilaite team at: uk-wallis@awin.com, and stay in the know by checking the Wallis program. Up to 30% off Everything - This Weekend Only! Up to 70% Off Selected Lines- Live this Weekend! Up to 50% Off - Live this Weekend! Miss Selfridge before the sale ends! Grab a 20% off Sale - this weekend only! 20% Off Selected Styles is going live tomorrow! Dates: Only a Few Days Left! Thank you for promoting Evans. If you wish to get in contact with us for any queries or if you wish to discuss any promotional activity, do not hesitate and send us an email at uk-evans@awin.com. Extra 20% off Sale - Live this Weekend! Up to 50% Everything at Wallis! From this Wednesday, Wallis will have 50% Off Everything! Don't miss this chance! Offer: Up to 50% Off Everything! TOPSHOP - Weekend Promos are Live! New Promos for the Weekend! End on Monday at Midnight! Final Clearance Still Live at Evans! TOPSHOP - Free Express P&P and More! Free Express P&P for 48 hours ONLY! 20% Off Full Price - 2 Hours ONLY! Miss Selfridge during your lunch break this Friday! 20% off full price items for 2 hours only! Free Express Delivery at Burton - 24 Hours Only! Affiliate, don't miss the chance to enjoy Free Express Delivery on your order this Thursday. 30% Off Dresses and Tops + New Season Peak at Wallis! We hope you're doing well! We have some new amazing offers for Wallis, don't miss this chance! Offer: Up to 30% Off Dresses and Tops! Final Clearance @ Miss Selfridge - Live on Tuesday! The best discounts on the Miss Selfridge's sale! Offer: Final Clearance on Sale! Up to 30% Off Summer Tops @ Evans Clothing! Offer: Up to 30% off Summer Tops!